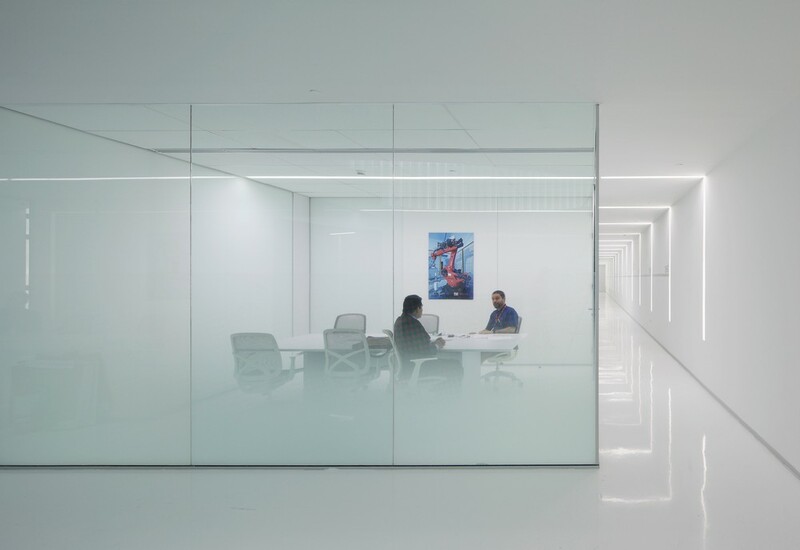 The brief of the project was to have a space that would inspire the people that works there, to encourage the operators and engineers to work as clean as possible and a stimulating office space that maximize the transparency and visibility towards the industrial line. 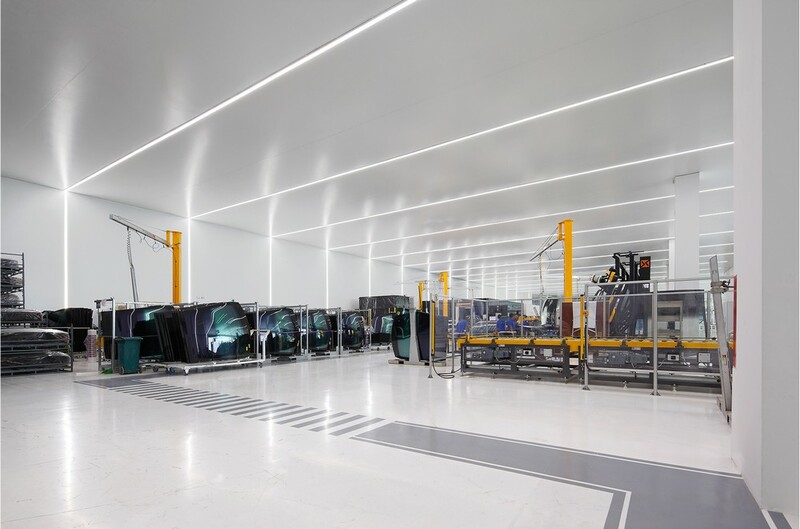 The client wanted state of the art installations to build trust with their clients, mostly USA and European auto makers. This new facility will supply the largest windscreen ever produced for a passenger car. Over 1 hectare of industrial space and offices. 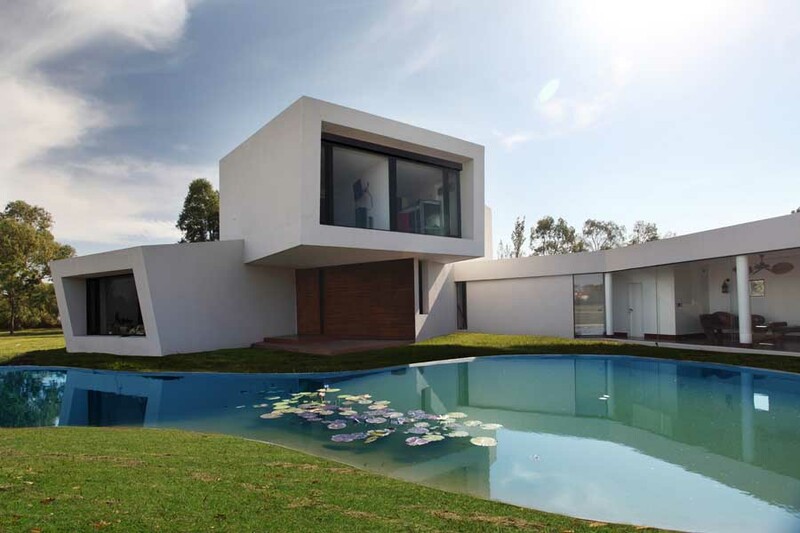 The project negotiates a neutral façade with a pristine interior space. The board room is exposed at the entry and hovers over the triple height lobby acting as a visual valve to the industry line. The office area works as a huge open space. The production offices are located in the middle of the production line having a clear view of most areas. An inner ultra clear glass façade reinforces the visual connection between offices and industry line. 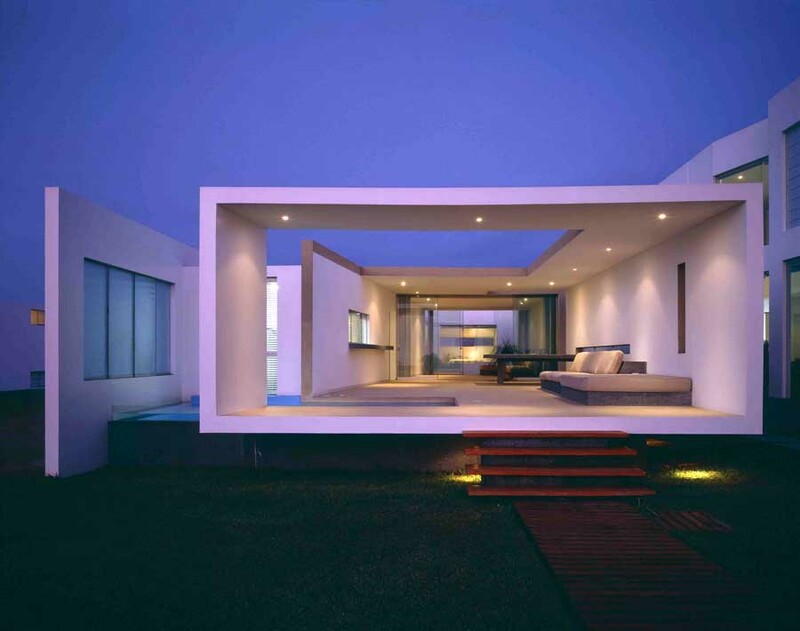 Some areas of the project were adapted to an existing structure. AGP produces glass for car windshield, cleanness is crucial. 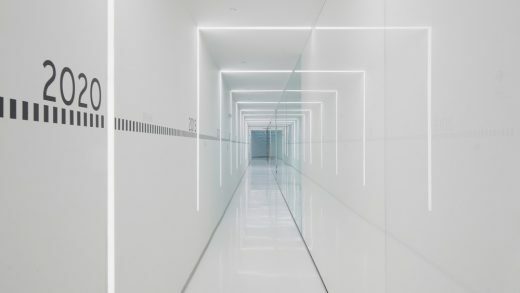 The white epoxy floor and black out tensile textile for walls and ceiling reinforce this idea for the engineers and operators therefore are much careful and clean while operating in the factory. In a country where the idiosyncrasy of the people is not the cleanest, design can aid channeling behavior. 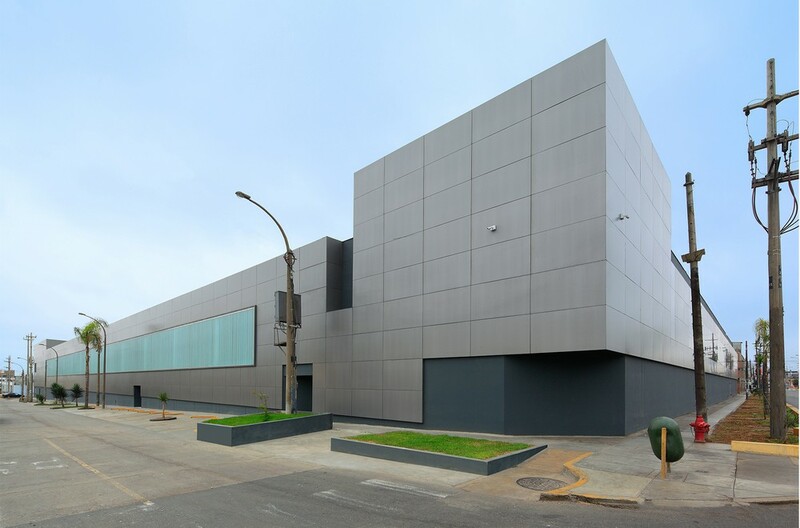 The objectives were to find out the best and optimized way of working between a Industrial line and offices. The methodology, research tools and data were given by interviews and forums of the stakeholders, operators and managers of the old facilities in order to obtain accurate needs. On the other hand the mockups of the surface and lighting, glass reception desk and finishes were built while construction allowing us to solve some unique details on site. The results and impacts on production were tremendous; the wellbeing, spirit and satisfaction of the employee as well as their productivity and ability to focus have increased exponentially. Time to deliver. The project was design and build in one year. Production needed to start so design decisions were taken to fulfill this challenge. 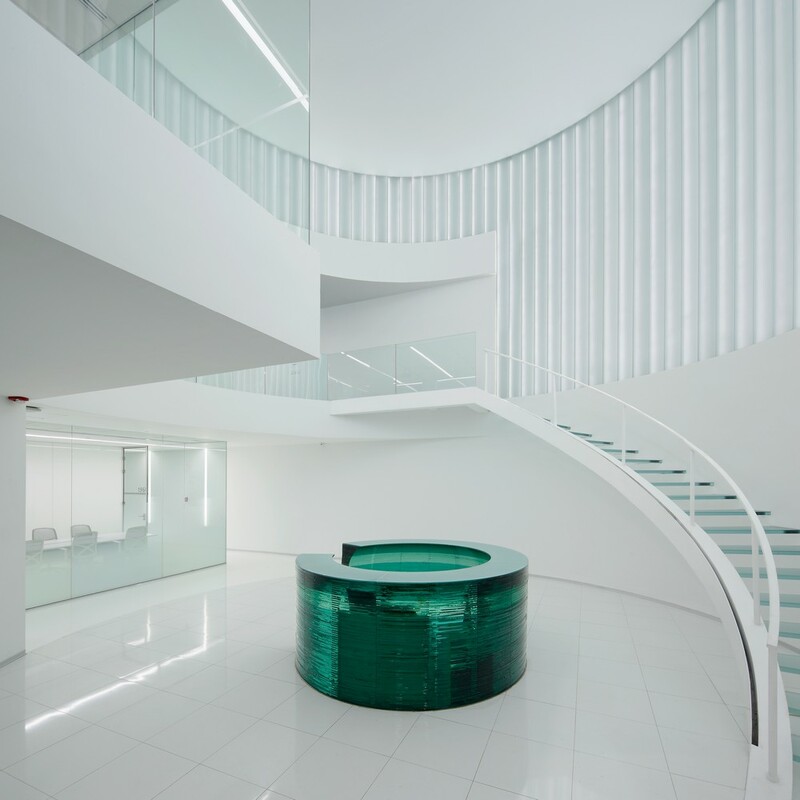 Winner – Agp Eglass Factory & Offices by Felipe Ferrer is Winner in Architecture, Building and Structure Design Category, 2015 – 2016.